The Arkansas Activities Association year end state championships in class 3A track and field happened on Tuesday, May 1. There in the thick of it all were the men and women of Mansfield High School. Advancing in several events because of all-conference performances at the 3A Region 1 West district finals a week earlier, Mansfield sent 15 players to the state finals. Nine of that group came from the women’s team. Six came from the men’s roster. Four said athletes hailed from the freshmen class. Two of them shined the brightest as best met best from the eight different conferences around the state. Lady Tigers Danielle Lillie and Brooke Wright both ninth graders found their way into the top scoring five for their respective events. More than just happy to be there, the freshmen players took advantage of the rare freshman invite and produced. Lillie in fact was only nine-hundredths of a second away from from obtaining All-State status in the 100m hurdles. After sneaking into the finals as the last qualifier, the newly confident racer scorched the final ten barriers nearly a second faster than her prelim time. Lillie’s afternoon finals was clocked at 16.69 seconds. Sydney Lane an All-State senior bound for college track meets next season at Arkansas State University ran the same race in 16.90 seconds. Fiona Wilson of Greenland, a member of the same conference as Mansfield, was the state champion at 16.43 seconds. Wright found her peak at the right time as well. Moving up from a disappointing second place finish in the junior high conference finals, the freshman discus thrower won the high school event a week later. That increased distance but her into the state championships last week. Wright sent the state competitors a message with a personal record 90’ 8” fling of the 1kg discus. The toss was good enough to carry her through the prelims and into the number five position in the finals. The freshmen weren’t the only players on the Mansfield roster to get into the scoring action at state. Seniors Megan Rose, Bryar Hattabaugh, and Devon Pyles also found point production at the Jessieville hosted event. Rose ran near one of her best times in the women’s 3200m run. A 13:05.79 clocking in the two-mile equivalent placed the college bound senior into fourth place. Rose will move on to Southeastern Oklahoma State University next fall and run cross country and track for the Savage Storm. Her final race as a Mansfield Lady Tiger secured her place as one of the most decorated distance runners in school history. Hattabaugh, off the Mansfield men’s team, scored in two places. He set two personal records while doing so. In the triple jump, the senior leaper went 41’ 8.5”. In the long jump, he sailed over 20 feet for the first time in his career at 20’ 0.5”. In both events, he finished in seventh place. Pyles, the most decorated of any of the Mansfield boys through cross country and track seasons, finished eighth in the 1600m run. The senior kept pace with some outstanding class 3A distance racers to score the point. Mansfield’s other points came from the women’s long jump and the men’s 200m dash. Lillie put up a 15’ 3.75” long jump for seventh place. Jaicy Griffin scored in the finals of the 200m dash. He ran the race in 24.14 seconds. Just a junior, Griffin, was the leading sprinter in the 3A Region 1 West conference. He was also the league’s top rated long jumper before a knee tweak at the next to last regular season meet sidelined him right up until districts. Over the course of the season, Griffin posted personal bests in three of his primary events. Those best marks included a 11.38 second 100m dash, a 24.14 second 200m dash, and a 20’ 6.25” leap in the long jump. Others attending and competing at the state finals for Mansfield included Delilah McKusker, Addison Goetz, Hailey Walker, Corrina Wesley, Alyssa Berry, Lennon Woods, Garrett Wilson, Joris Felius, and Victor Steffen. McKusker, Goetz, and Walker joined Lillie as part of the women’s 4x100m relay team. Wilson, Felius, and Steffen joined Pyles as part of the men’s 4x800m relay team. Wesley, Berry, and Woods connected with Rose to form the women’s 4x800m relay team. Blayne Bryant and Jessica George were listed participants on separate relay cards for their respective teams. They did not have the opportunity to race at state but were included as backups. Woods also competed in the women’s 300m hurdles. In only her fourth try at that particular event, the sophomore recorded a personal record at 55.69 seconds for tenth place. Senior Elizabeth Escalante made the trip as the team’s manager. 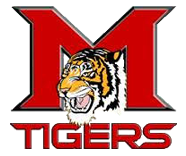 Josh Bryan and Dustin Payne were the assistant coaches on board for both Mansfield squads. The Lady Tigers finished thirteenth in the overall team standings. The men were 26th out of a possible 64 places. Mansfield’s senior high players take a moment after the class 3A state finals in track and field. The championships were held at Jessieville on May 1.